Motorists in search of a highly refined and high-tech new sedan should turn their attention to the 2019 Honda Accord. This stunning iteration of Honda's popular mid-size sedan boasts the refinement drivers have come to expect from a Honda, but also fuel-efficient powertrain options and advanced cabin features. Take to any road with confidence with the new Accord's standard driver-assistive technologies that provide you with added driving peace of mind. Davis Honda welcomes all drivers from throughout the nearby Marlton and Princeton, NJ areas and beyond to discover the premium amenities and sleek styling of the 2019 Honda Accord lineup at our dealership. Before you visit us in Burlington, NJ for a complete tour followed by a test drive, why not learn more about what makes this latest Accord a favorite among the automotive press and consumers? We invite you to discover the array of well-appointed trim levels offered and shop our selection of new Honda Accord sedans for sale here on our website. 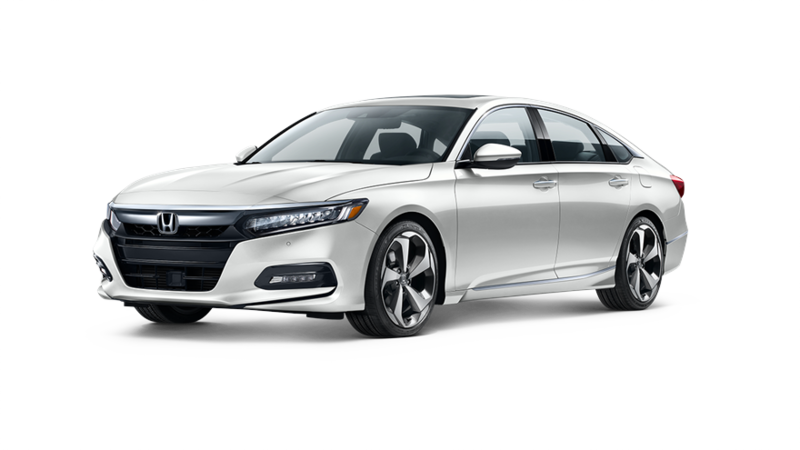 Honda offers the 2019 Accord sedan in six distinct flavors, ranging from the LX base trim to the Touring model. Throughout the model range, there's a choice of three advanced powertrains, including turbocharged 1.5-liter and 2.0-liter engines, along with a new Honda hybrid powertrain. With impressive efficiency across the engine lineup, you can't go wrong with any of these fuel-sipping Accord models! The Accord Hybrid delivers range-leading fuel economy ratings thanks to its advanced gasoline-electric powertrain, while the available 2.0-liter turbocharged engine offers something special for your inner driving enthusiast! All of these highly refined versions of the 2019 Accord can be explored at Davis Honda, serving Hamilton, NJ. Before you make the short trip over to see us for a test drive, we welcome you to explore our new Honda lease and finance offers and consider applying for auto loans as you shop our new Honda inventory online.